"Time Out Shortlist Manchester" selects the very best of Manchester's sightseeing, restaurants, shopping, nightlife and entertainment, with Time Out's trademark expertise. This modern city is studded with independent boutiques, top-flight shops, cool bars, and snug pubs, making Manchester the United Kingdom's third most visited city by foreign travelers. This is the complete reference for anyone visiting this city, the center of arts, media, and commerce. 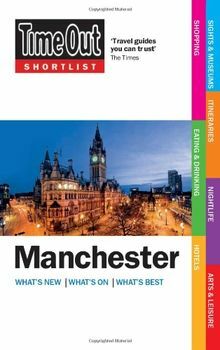 As well as Manchester's classic sights and the best of its eating, drinking and entertainment, the guide picks out the most exciting venues to have recently opened, and gives a full calendar of annual events.